Ranging from Texas, to Chile, to New Mexico and New York, here Berlin writes about the good, the bad and everything in between: struggling young mothers, husbands who pack their bags and leave in the middle of the night, wives looking back at their first marriage from the distance of their second . . . The publication of A Manual for Cleaning Women, Lucia Berlin's dazzling collection of short stories, marked the rediscovery of a writer whose talent had gone unremarked by many. The incredible reaction to Lucia's writing - her ability to capture the beauty and ugliness that coexist in everyday lives, the extraordinary honesty and magnetism with which she draws on her own history to breathe life into her characters - included calls for her contribution to American literature to be as celebrated as that of Raymond Carver. 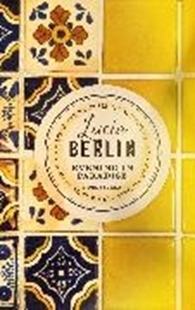 Evening in Paradise is a careful selection from Lucia Berlin's remaining stories - a jewel-box follow-up for her hungry fans.